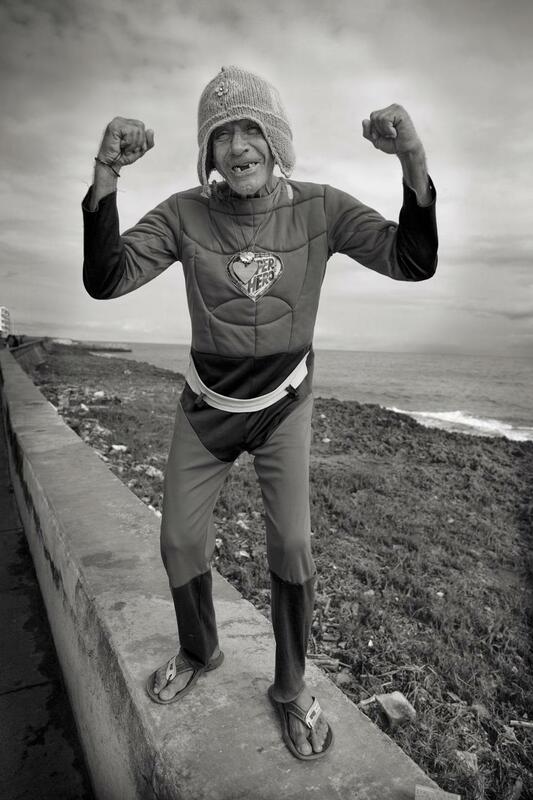 The Superhero was zig-zagging across the main street along the Malecon in Baracoa, a small provincial town located on the eastern shores of the island. His costume, or maybe his pajamas, drew very little attention from the locals that passed by. I did a double-take, because you don’t often see Cubans dressed in costume like that. My one opportunity to grab the image came just as I was boarding a bus, and he hopped on the sea wall next to the bus door. He raised his hands to show me his “superhero strength,” and off I went. Cuba’s famous Flamenco ballerina, Irene Rodriguez (right), gives instruction to a dancer during a rehearsal at her dance studio in Havana. 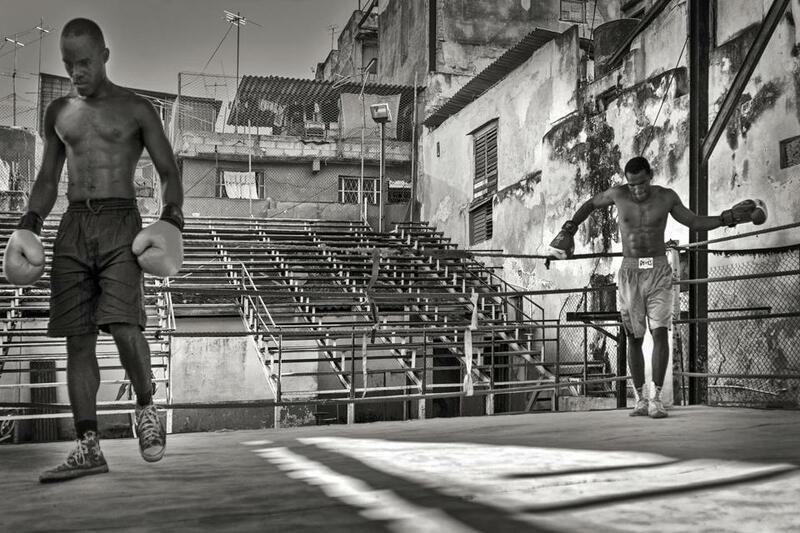 This outdoor boxing gym, the Rafel Trejo Gimnasio, has a lot of history. Two of Cuba’s heavyweight Olympic gold medal winners trained very early in their careers here: Teófilo Stevenson and Félix Savon. 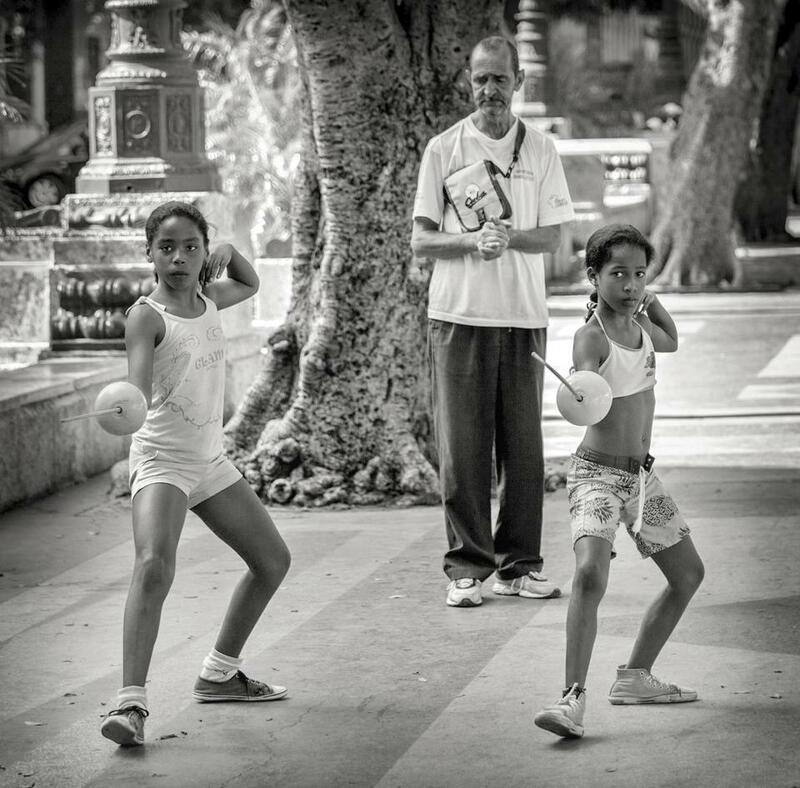 The two young adult boxers here are continuing the tradition and hope someday to be discovered and box for Cuba in the Olympics. 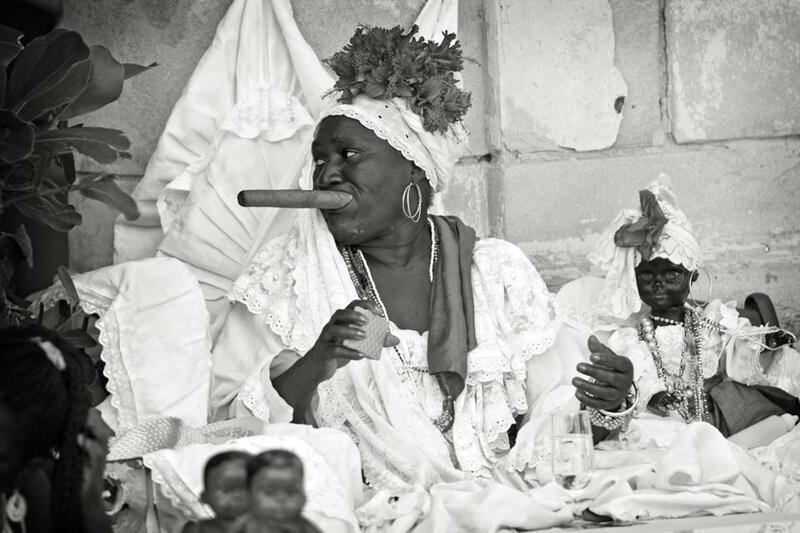 Santeria, or “the worship of the saints,” is a popular religious practice in Cuba. This woman has a special location in the main Cathedral Plaza in Havana, adjacent to the Catholic church. She sets up her table, arranges her dolls, tarot cards, rum, and cigars. All necessary parts of the puzzle that help tell one’s fortune. 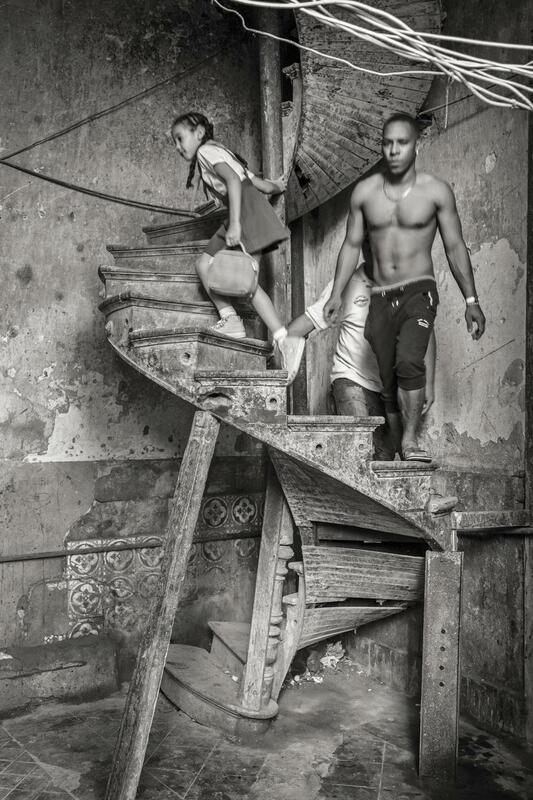 This is a typical scene of do-it-yourself fixes in Cuba’s aging housing stock — once a beautiful circular stairway, now a precarious everyday pathway. It has no rails, is unstable and propped up, but the little girl just ran up without a care. Her father followed along with another resident. The weight of all of them didn’t seem to be a problem. Cuba’s main boulevard, the Paseo del Prado, is everything to everybody. It’s a location for Sunday art shows, for meeting friends and family, for young and old lovers to sit and enjoy each other, a place for chess and other games. But on this day, it was being used to teach two young sisters the art of fencing. The fencing master with his humble stance directs the girls by calling out the various fencing routines. 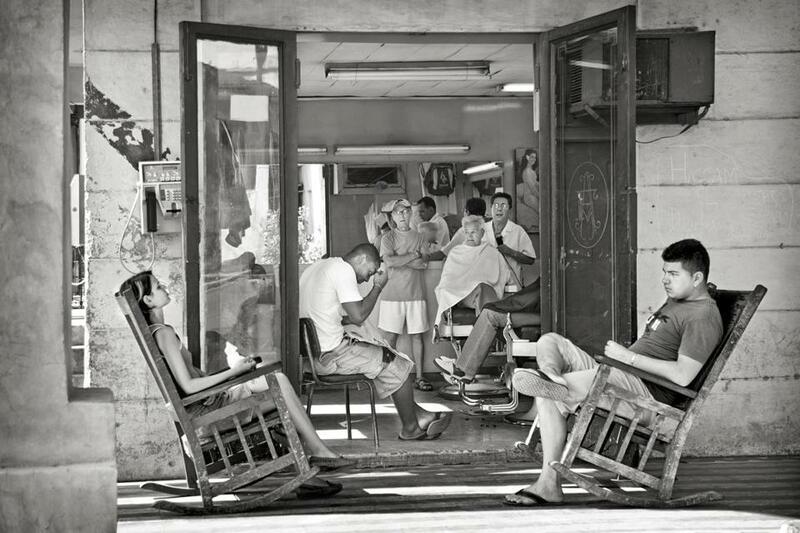 In every country I travel to, one of the images I always look for are barbershops. Cuba was no different. The streets are filled with hole-in-the-wall barbers, sometimes right out on the street. But on this afternoon in 2009, I found a very suburban-like scene: A woman and her companion were waiting for his turn for a haircut. There were several others waiting, even with two chairs inside. I just thought how common this scene was.